Round 12 of the Hero I-League saw some momentum shifts at the top of the table as Mohun Bagan after their break from the league due to AFC Cup commitments, face a 2-1 defeat at the hands of Churchill Brothers despite taking an early lead. The loss will come as a blow to Mariners especially after knowing that arch rivals East Bengal had won in Shillong in a hard fought performance. 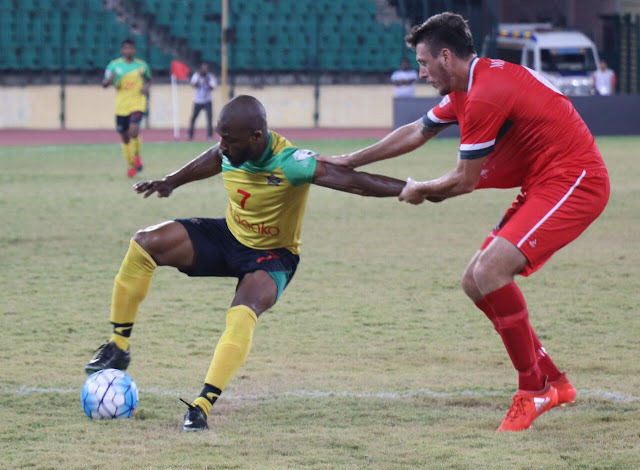 East Bengal's new recruit Christopher Payne scored a brace while Lajong failed to make most of their chances. Aizawl FC are looking unstoppable as they wrapped up yet another dominant victory over Khalid Jamil's former employers Mumbai FC with Kamo Bayi registering a fine double at home. The win keeps Aizawl FC at the second place. Chennai City FC and DSK Shivajians were involved in a 1-1 draw in Chennai. While the result may look like a point earned for the home side, but it was rather a case of losing two points narrowly as they failed to keep their early lead intact and concede in the injury time. Haroon Amiri gave Chennai City FC the lead while McFaul equalized in the dying moments of the game. Elsewhere, Bengaluru FC broke Minerva Punjab's mini-run with Lenny Rodrigues finding the back of the net with a glancing header from Cameron Watson corner. The goal proved to be the winner as The Blues look to stay in title hunt while Minerva Punjab FC will gain lot of confidence for the fixtures ahead with their string of good performances, especially at home.